Life is… waking up at Casita Bentayga. 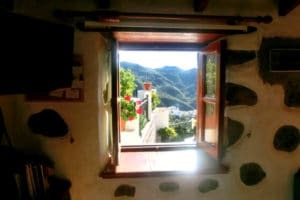 Open the window to a world of wonder. View Roque Bentayga and a GC pueblo blanco , Tejeda. With such eye candy, it’s impossible to get out of the bed the wrong side. Go ahead and try. 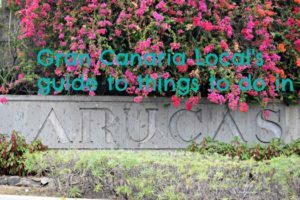 The Gran Canaria Local family are a familia numerosa. We’ve more than two kids. But our eldest had a football match to play. 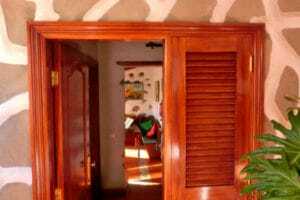 So he didn’t travel to a holiday home that’s a casita rather than casa. One cosy enough for a couple plus child, the owner’s target market. Our bad. As there were four in our party. 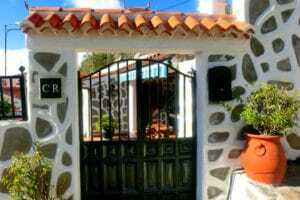 There’s one bedroom at Casita Bentayga plus an extra bed you put up in the lounge/diner. This is where Mr GCL slept, as he partied hard at Tejeda‘s Fiestas del Almendro en Flor. 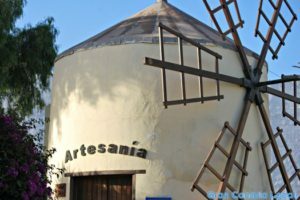 These are held to mark the blossoming of the area’s almond trees. 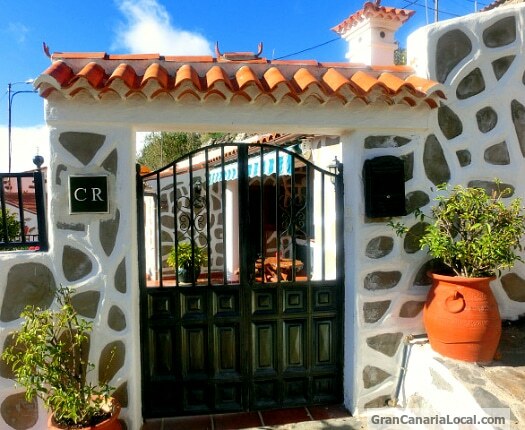 We’ll return to this rural house, lovingly decorated inside and out, but only Mr and Mrs Gran Canaria Local plus GCL Junior, Tom. Three’s not quite a crowd. The real beauty of this charming near-200-year-old property is its setting. 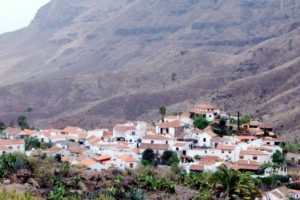 500 metres above Tejeda, capital of an agricultural area where wild rocket still reigns supreme, it’s a short walk into the village from Casita Bentayga. Should you wish to explore further, there are many local hiking trails. For the more horizontally-inclined, the patio’s an unforgettable location for a barbecue. A BBQ’s one of the features included at this well-equipped holiday property. Yes, they really have thought of everything. 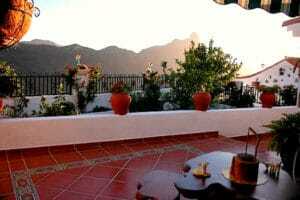 Disclaimer: 4/5ths of the GCL family enjoyed a free night’s accommodation at Casita Bentayga. We would, however, return as paying guests. 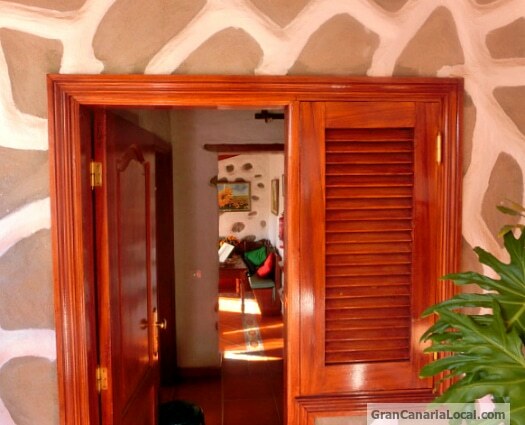 As well as recommend a stay there to kith and kin, including the ever-growing family of Gran Canaria Local fans. What a lovely place! And definitely inspiring and colorful! We love it so much, we’re going back next week. Can’t wait. Bring it on. 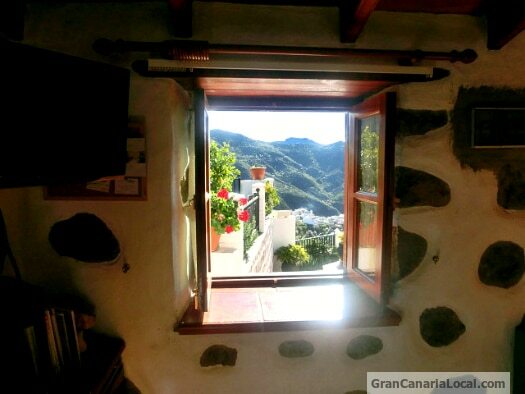 There’s no finer view on Gran Canaria than from Tejeda, Emma, with the exception of neighbour Artenara which is the highest municipality on the island. Stand by for even more lovely vistas next week. 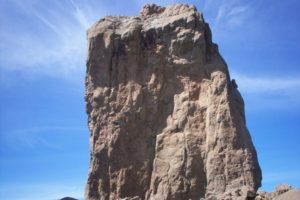 When we return to Tejeda. Although not to Casita Bentayga. All will be revealed. I can see why you love Casita Bentayga! I’d love to wake up to that view. We’re looking forward to waking up to a similar view next weekend, Terry. Read all about in our next blog post. What a lovely view to wake up to!!! If only it was an everyday occurrence, Bethaney. Although, if it was, it may well pale into insignificance. What do you think? 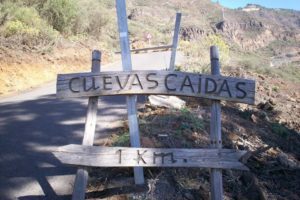 I have fond memories of spending a day hiking near Tejada….the night after my first Spanish wedding. Should have booked a comfier place to sleep the night before! What with the fiestas going on last weekend, we didn’t get to do any hiking. There’s always next weekend, though. We’d love to hit the trails again. You’re not wrong, Lillie. And ideal for three guests. Hint, hint. 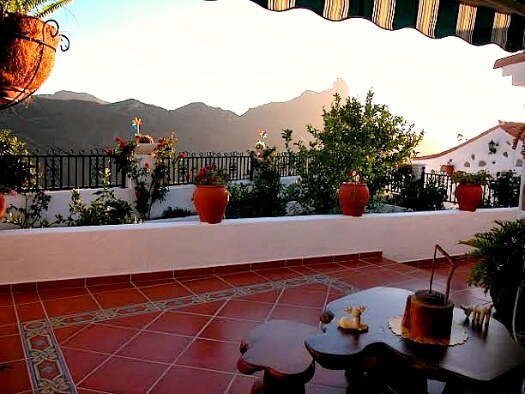 We were your neighbours in Casita Nublo, with equally majestic views. It was lovely to meet you and Mrs GC. We were lucky enough to enjoy the views and the hiking trails for a fortnight and now we are back in rainy cold Yorkshire your photos bring back happy memories. Ah, Casita Nublo. We’ve just returned from there. Read your lovely comments in the guestbook. Sentiments we’ll be echoing in our review. I could start out that window alllllll day, what a great view. We’ve just returned from Casita Bentayga’s sister establishment. It was extremely difficult to leave. Review to follow. Good thing there are only 3 of us. We’ll fit perfectly in the cozy accommodations 🙂 Love the view! Bigger parties might like to take both houses, Mary. That would definitely work. Hmmm, have I got an idea for visiting family.